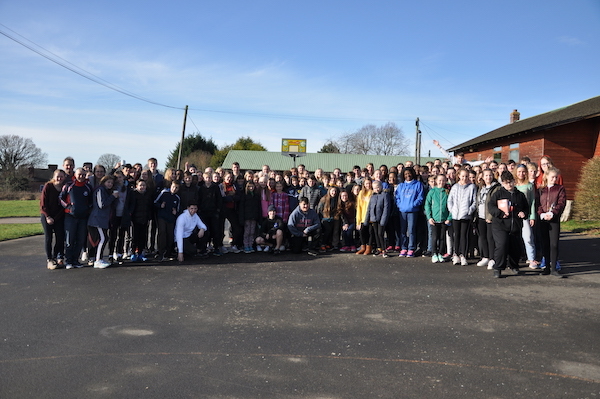 Attendance at this year’s Basecamp youth weekend saw 105 young people and their youth leaders attend, the first time getting over 100 people since the annual weekend was launched four years ago. Once again there was a wonderful, uplifting atmosphere throughout the weekend. 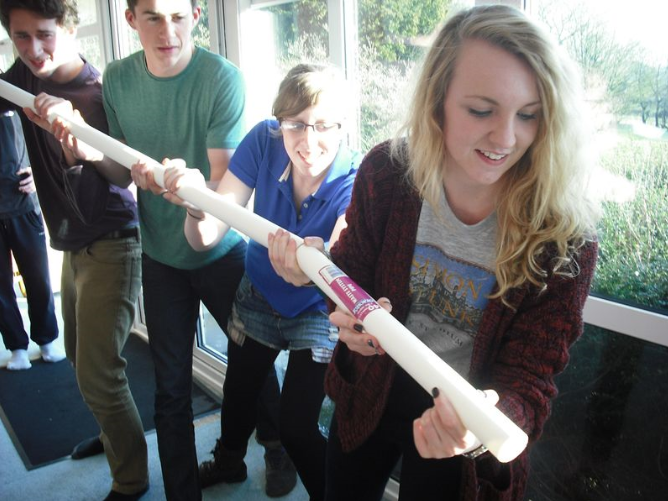 Young people and their leaders gathered together at The Pioneer Centre, near Kidderminster, coming from 14 local churches from across the area, including Leamington, Warwick and Coventry, and areas in-between! This year’s theme was about adventure, specifically a ‘life of adventure with God’. There were talks on following God’s plan, taking risks for God and also what to do when life gets hard or things don’t go as planned. It was wonderful to see the youth leaders investing in their young people, getting alongside them and encouraging them in the response times, as well as cheering them on when they took part in the different outward bound activities, such as the high ropes course and the aerial trek (think child adventure park but for adults, and much, much higher!). Worship was led over the weekend by some of the young people. There was a real authenticity in their leading and helped the whole group to step into the worship and praise God together. Once again the weekend was overseen by Andy Castle and Ruth Ditch, together with a young leaders team, helping to co-ordinate the programme, run the Friday evening welcome games and host the Saturday evening quiz night based on famous TV gameshows. They also had the opportunity to grow in their teaching skills by each working alongside a youth leader to deliver a choice of four workshops on the Saturday afternoon, ranging from ‘Jesus’ snapchat profile’, to ‘overcoming anxiety’, and ‘reaching the lost and lonely’ to ‘how do I follow God’s plan for my life”. We have had such overwhelmingly positive response to the weekend from both young people and youth leaders alike, and an excitement for next year when we do it all again. We’ve booked The Pioneer Centre again for Friday 31st January – Sunday 2nd February 2020. Put it in your diary now! We want to thank all of Thrive’s supporters for enabling this to happen. Thrive runs this event to cover the event expenses but it does not cover the actual cost for hosting the weekend, in particular Thrive’s staff costs, for which we depend on our wonderful supporters. Thank you! you can watch our brief highlight video below.